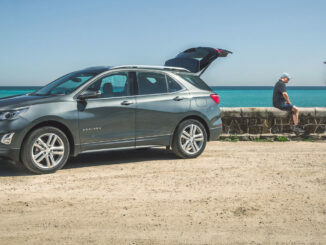 Both are seven-seat versions of great five-seat family SUVs, but which is the best BabyDrive? 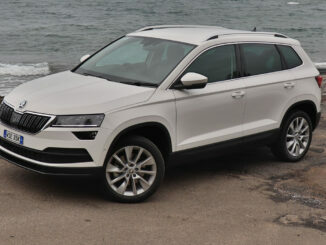 I had the VW Tiguan Allspace to review at the same time as hubby had the Mazda CX-8. 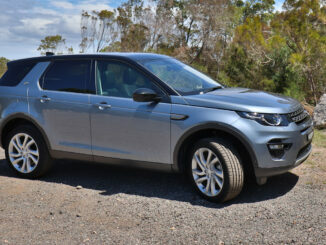 Both are seven-seater versions of great five-seater family SUVs, with the Mazda being an enlarged version of the CX-5. 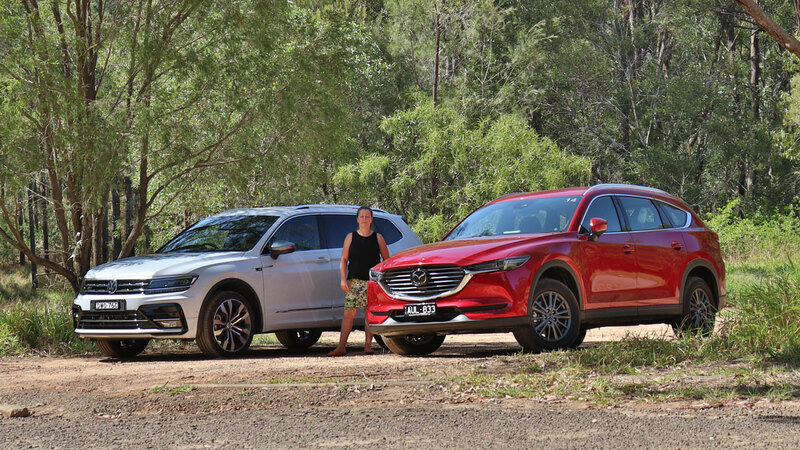 Check out my verdict below, where I have compared the two to see which comes up as the most family-friendly seven-seater SUV. In the seating round, the Mazda CX-8 far outweighs the VW Allspace as it has ISOFix in the two outer second-row seats and top tethers in ALL FIVE seats!! 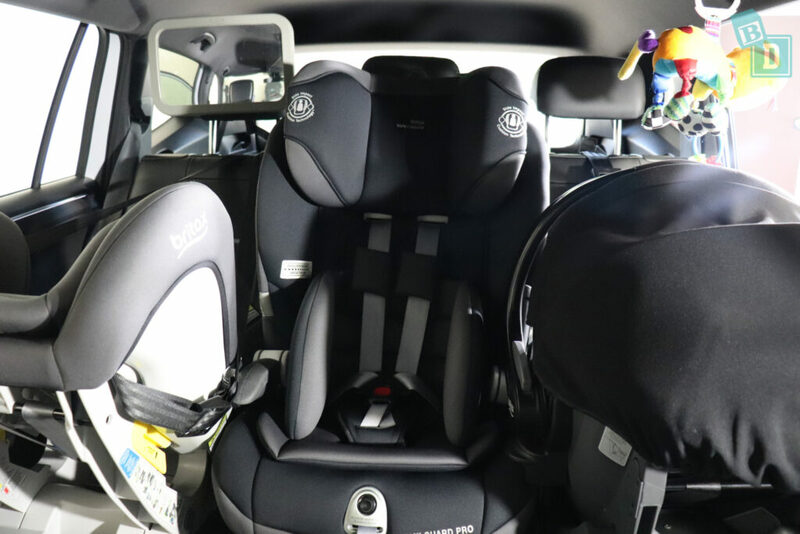 I was able to install five child seats and it is spacious enough to use the ISOFix in the second row for the outer child seats, rather than having to move the child seats outwards and use the seat belts. In the VW Allspace, there are ISOFix in the two outer seats and top tethers in the back of all three second-row seats but there are none in the third-row seats. 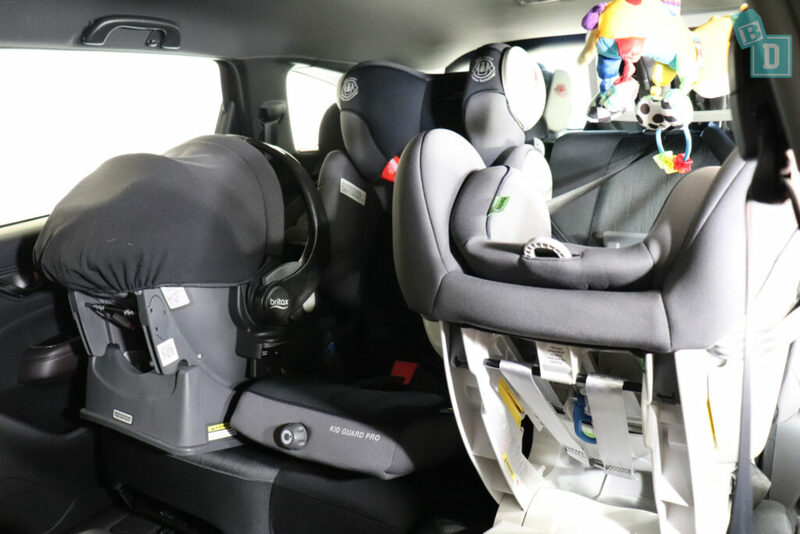 I did manage to fit three child seats in the second row but it was a tight fit, I did try different combinations of forward- and rear-facing child seats to find three that would fit. For passengers in the third-row seats of the VW Allspace, there really is not much space; there is little head and knee room and I'm only 162cm and there is no kick room underneath the seats in front. In the Mazda CX-8, the third-row seats are much more spacious, headroom is much better and you can sit a 182cm passenger behind and in front of a rear facing child seat. 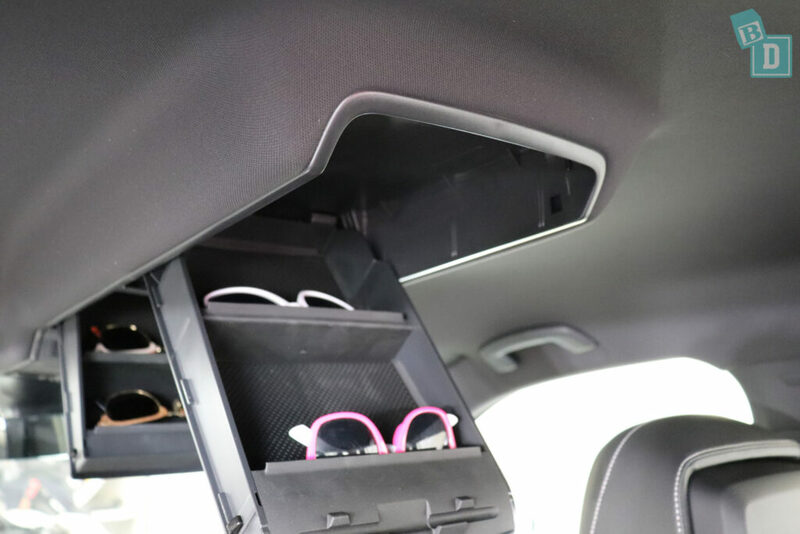 The boot space in the CX-8 is slightly bigger, holding six shopping bags when you are using all seven seats and seventeen shopping bags when you are only using five seats. 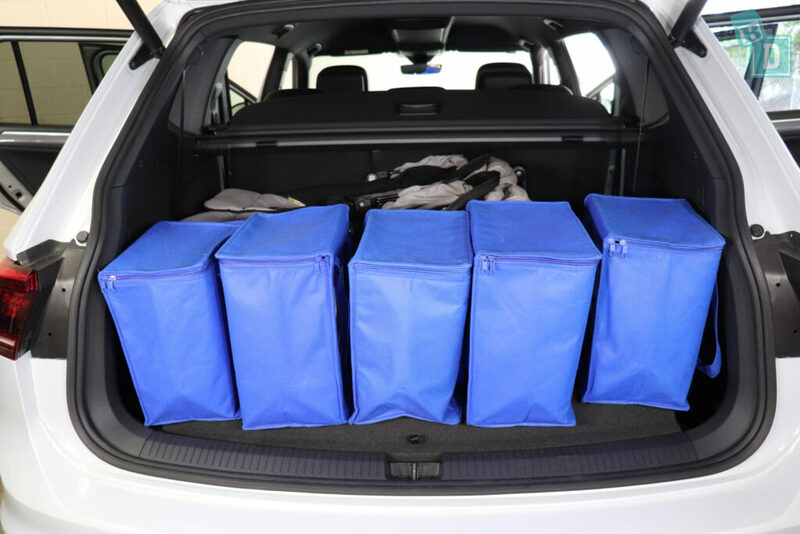 The VW Allspace, however, holds five shopping bags when using all seven seats and fifteen shopping bags when only using five seats. 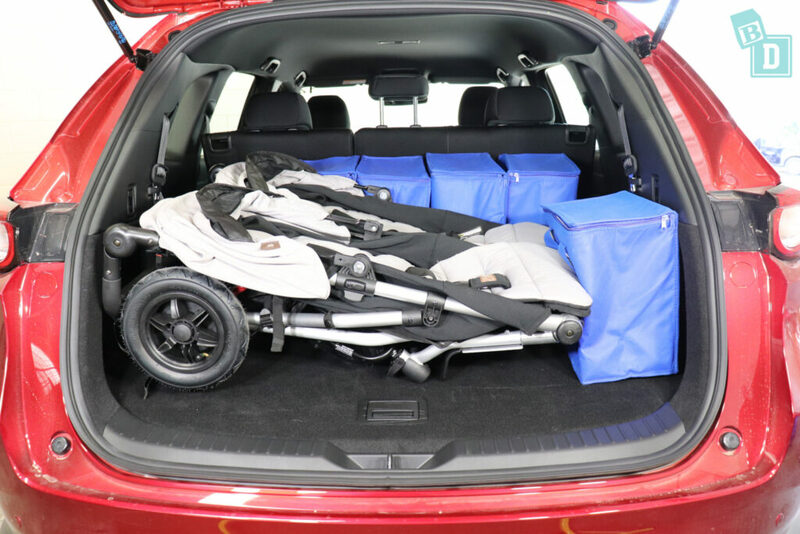 Storage inside the VW Allspace is fantastic and I'd compare it to the best nappy bag you can imagine! 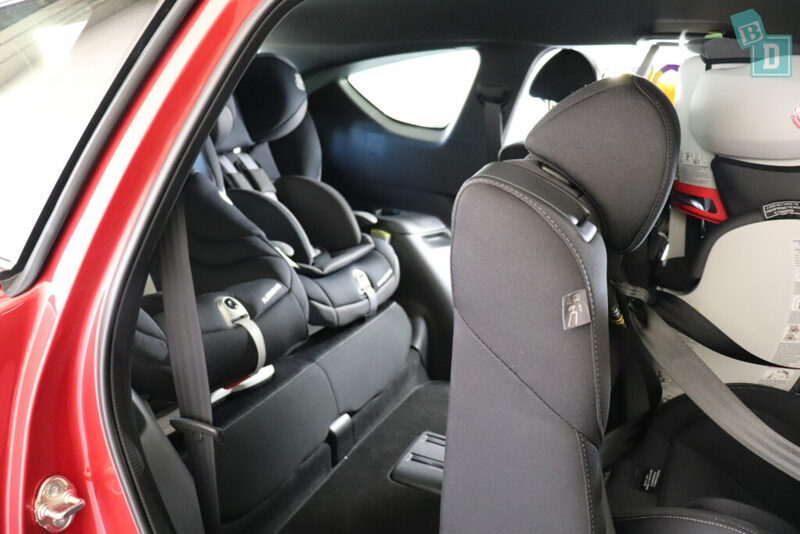 Overall, the CX-8 is the winner due to the fact you can fit five child seats, cabin space is excellent, the third-row seats are practical everyday and access to them is easy even with child seats installed in the second row. But Mazda could learn a thing or two from Volkswagen when it comes to thoughtful cabin storage and other family-friendly features that I loved about the Tiguan Allspace!